It takes more than incompetence to sustain a failing education system for decades. You need a stubborn adherence to unsuccessful programs. Chief among those failures is class-size reduction. It takes more than neglect to sustain a failing education system for decades. You need a stubborn adherence to unsuccessful programs. Chief among them is Nevada’s class-size reduction effort. The idea has an instinctive appeal. If there are fewer students in a class, your child will receive more individualized attention, which will increase achievement. That’s a popular political message. Parents love it because it sounds good for their kids; teacher unions love it because it swells their ranks. But there’s one problem: There’s scant evidence that Nevada’s class-size reduction program works — at least in the practical sense. Start with the hard evidence. Nevada started funding class-size reduction in 1990. The state has spent $3 billion on it since. Achievement remains abysmal. Just 29 percent of Clark County School District fourth-graders are proficient in reading despite having smaller class sizes through the third grade. Then look at Nevada’s highest-ranking schools. According to a study done by the Guinn Center, one-star schools — those that are struggling — have the smallest class sizes. Classes in four- and five-star schools — higher achieving campuses — are 10 percent larger. That’s because the most-important factor in student achievement isn’t class size but teacher quality. The best teachers should get larger classes instead of forcing those students into the classroom of a less-capable teacher. Ironically, class-size reduction has unintended consequences that hurt students in poorer neighborhoods. The district has routinely struggled to fill all of its teaching positions. Take away class-size reduction, and you would have licensed teachers replacing long-term substitutes. This could help at-risk schools get teachers with more experience. There was an uproar in July, when data came out showing longer-tenured teachers are more likely to work in wealthier areas. Class-size reduction exacerbates this by creating more job openings in those schools, allowing experienced teachers to leave schools in poorer neighborhoods. There’s also an inaccurate stat floating around this debate. The National Education Association claims Nevada has the highest number of students enrolled per teacher. That sounds bad, until you realize the NEA reports Nevada had only 17,335 teachers in 2017. 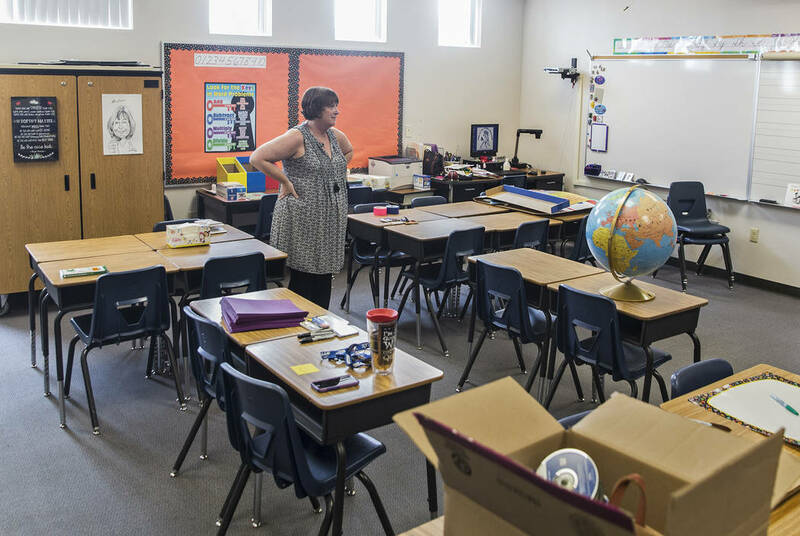 But according to Nevada’s Department of Education, the state had 25,853 teachers — 49 percent more than the NEA’s faulty figure — for the 2016-17 school year. If that’s not enough, the state issues so many waivers for class size that the standards are a joke anyway. Of course, one-on-one instruction would be preferable to classes with 50 students. But it is impossible financially to provide every student with a personal teacher. As Nevada’s program currently operates, its effect is negligible, at best. Given the massive expenditures, the money would be better spent elsewhere where it might achieve results. The Legislature should eliminate class-size reduction and put the money into reforms that reward the best educators. That’s easier said than done, given union opposition to merit pay. At the very least, however, elementary principals should receive the class-size reduction money as a block grant and be given the autonomy to use it as they see fit. To fix a broken system, you have to change what isn’t working. Lawmakers should start with class-size reduction.